Can you believe September is here? The kids are back in school and hopefully the weather will start cooling down soon. That means that Christmas is right around the corner. If you have been following me for long you know that I am working on a set of dishcloths for Christmas presents, one to represent each month of the year. Today, I give you September’s dishcloth. For this cloth I used my favorite size 6 needles and half a skein of Rouge Red by Peaches & Creme. The pattern provided an optional seed stitch border in the notes section so it will match the others in the set. 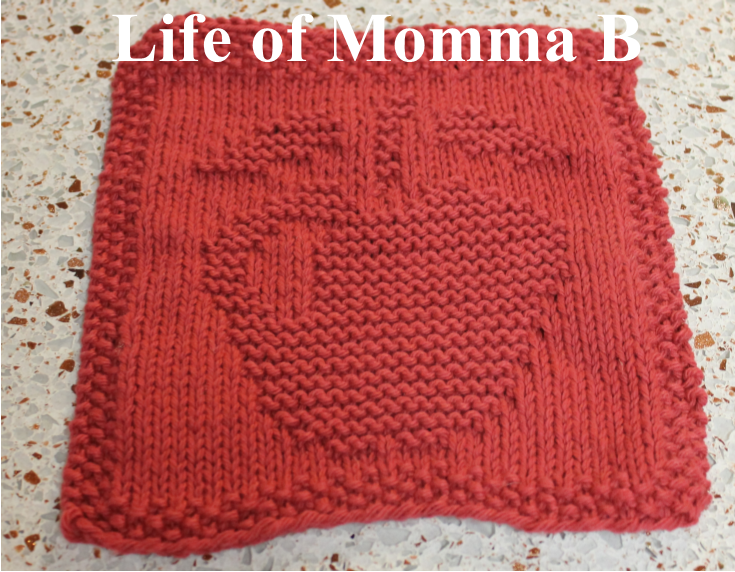 This entry was posted in Knitting and tagged apple, dishcloths, free pattern, September. Bookmark the permalink. Can you do a cheese slice one? I was wondering if you still have the apple dishcloth pattern available? I would love to knit a few of them for gifts. Thanks! Thank you so much for the Apple cloth pattern. I have been trying to find this very pattern. Glad to be of help. Happy Knitting!